The spectacular Bay of Green Bay is one of the largest freshwater estuaries in the world, making it prime habitat for waterfowl that migrate through northern Wisconsin. Birding enthusiasts from around the country flock to the shores of Green Bay, where some of the most beautiful natural landscapes in Wisconsin are found. In Green Bay, you’ll find a great variety of wildlife sanctuaries, preserves, and other natural spaces to enjoy, each home to a unique subset of habitats and bird species to enjoy. 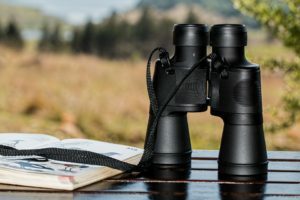 No matter whether you’re an experienced birder or new to the sport, this spring is a great time for a birding adventure. Pack your binoculars and book your room at our historic Green Bay Bed and Breakfast. Bird watching opportunities in Green Bay are both abundant and diverse, with some of the best birding territory being mapped by the Great Wisconsin Birding and Nature Trail. 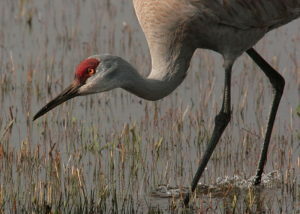 The variety of birds that move through the greater Green Bay area throughout the year include favorites like Warblers, Thrushes, Ruby-crowned Kinglet, Hummingbirds, common Nighthawks and Chimney Swifts, to sharp-shinned and broad-winged hawks, Osprey, American kestrel, and other species of raptors. One of the best habitats to see these winged beauties in Green Bay is at the Barkhausen Waterfowl Preserve, which is home to over 900 acres of forests, meadows, and wetlands. Avid birders have counted over 200 incredible species of birds here, including Warblers, Flycatchers, Wood Ducks, Northern Waterthrush, Barred Owl and Pileated Woodpeckers. Bay Beach Wildlife Sanctuary ‘s 700+ acres of birding habitat is also a wonderful place to spend a day while you’re in Green Bay. This beautiful sanctuary along the shores of Green Bay is known for significant concentrations of landbirds that migrate through every spring and fall. Walk along the boardwalk trails here, and you’ll find yourself wandering through forests, fields, marshland, and open water habitats, each area home to a unique and diverse population of birds. A discussion of Green Bay’s best birding habitats would be incomplete without mentioning the smaller, but equally as beautiful Cofrin Memorial Arboretum. This beautiful park encircles the UW Green Bay campus and preserves a vital ecological component of Wisconsin’s natural habitat. It’s a wonderful place to listen to the charming songbirds migrating through the area. We urge you to book your room at our historic Wisconsin Bed and Breakfast, and then grab your binoculars and field guides for a glorious spring day of bird watching in Green Bay’s many parks.